Topical use: Apply one to two drops to desired area. Dilute with Carrier Oil to minimize any skin sensitivity. 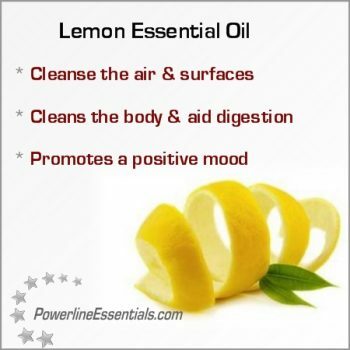 Add Lemon oil to a spray bottle of water to clean tables, counter-tops, and other surfaces. Lemon oil also makes a great furniture polish; simply add a few drops to olive oil to clean, protect, and shine wood finishes.